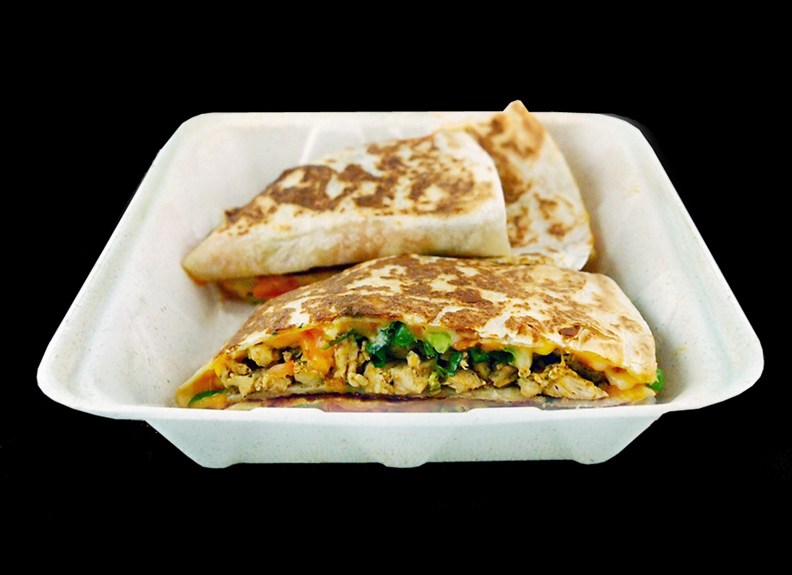 Nutritional Range Starting From Only Protein, Cheese + White Tortilla, Ranging To A Fully Loaded Quesadilla. Adults and youth (ages 13 and older) need an average of 2,000 calories a day, and children (ages 4 to 12) need an average of 1,500 caloriesa day. However, individual needs vary. Extra toppings & modifications are additional to the calories displayed for the basic preperation of standard menu items. Salsa (20 Cals), Burrito Sauce (80 Cals), Sour Creme (90 Cals). CAN'T DECIDE? MIX IT UP WITH 2 INGREDIENTS FOR THE SAME PRICE AS THE HIGHER VALUE "Protein" Choice.